There may be many still puzzling over the change of name in 2015 from Hexagon Metrology to Hexagon Manufacturing Intelligence (Hexagon MI) and who still see the company as a metrology operation. 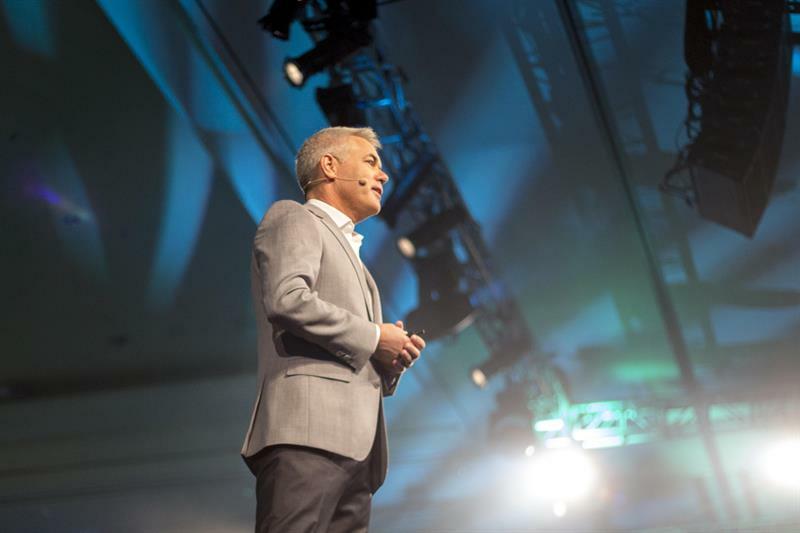 At the Las Vegas event, meaning and shape were given to the company’s ‘manufacturing intelligence’ message. There are two sides to Hexagon AB’s business, industrial and geospatial, with sales split 50-50 between them. It is within the industrial side that Hexagon MI sits. Fundamental to its manufacturing intelligence message is the capture of dimensional data to both support real-time action to maintain quality in production and to inform design, aiding improved future products. This sits in the context of the smart connected Industry 4.0 factory of the future with its data-driven processes that allow for continuous learning and improvement, enhancing quality and, therefore, driving up productivity – ‘quality drives productivity’ is a Hexagon MI catchphrase. There are effectively four elements in all this: post-design-to-shopfloor software; feedback loops (from dimensional metrology to production equipment and to CAM and simulation software); dimensional measurement equipment and associated software; and a platform that can capture, analyse and present actionable quality data. Taking the first element, starting at the design end this has most recently been boosted by the acquisition in March 2016 of Forming Technology Inc (FTI), a sheet metal design and costing specialist; in April this year of US-headquartered CAE/simulation software specialist MSC; and, at the shopfloor end of the workflow, the bagging in June this year of tool management company FASys of Germany. In between those two ends sits the Vero portfolio of CAM software (includes CAM-focused CAD), which takes in metalcutting software Visi, Edgecam and WorkNC, amongst many more. And he describes the MSC acquisition as “a game changer in our mission to deliver actionable manufacturing intelligence”, with Hanke adding that with this purchase “we are on our way to bringing the real and virtual worlds closer together”. Vero Software knows recent purchase FASys, having worked with the company for some time. Steve Sivitter, CEO at Vero Software, says that with the system mostly sold in Germany, wider commercialisation is clearly possible through Hexagon’s global footprint. 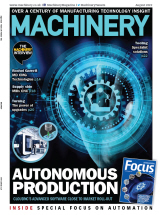 He adds that there is a big win on offer for companies using machine tools, because the cost of the tooling used across the life of a machine sees original machine cost “pale into insignificance”. Managing tools on cost is important (don’t change them too soon), but so to on quality grounds (adjust or change to avoid dimensional error). “We are going to incorporate this into our CAM software, so that users can really manage tooling, the life of tooling, plus for machine simulation you’ve got to have very accurately defined tooling [models], especially on complex machines.” . Asked about further software acquisitions, Hexagon MI’s Hanke says: “When we started our journey, around 4 to 4.5 years ago, I would not have said at the end we will buy a simulation company. It developed; our know-how developed. I guarantee you that there are gaps that we haven’t even seen yet. [And when we see them] we have to ask, can we close the gap by developing something ourselves, or, and because I feel we need to be speedy and not lose too much time, by acquiring somebody, if they are out there.” The same thinking goes for metrology equipment, where recent purchases have been Aicon vision systems and Apodius composite part vision inspection technology. At the design end of the workflow, he mentioned feedback in his FTI comment above, where dimensional metrology – measuring reality – will provide feedback upstream. And Hexagon MI’s David Jeffers, business development manager – North America, software, highlights this, stating that FTI sheet metal forming simulation software can get things “about 80% right”, but doesn’t have all the information necessary, such as tool/part friction. “We want to use a Hexagon white light system to measure the first part, send that data back to the FEA engine and allow it to learn from its mistakes,” offered Jeffers. In similar vein, in the Hexagon MI smart factories zone at the event, it was explained to Machinery that an Aicon MoveInspect XR8 vision system could be employed to observe the dynamic forming of a sheet metal part with the results fed back to MSC’s Simufact simulation package to refine its modelling output. He instanced aerospace titanium parts that may cost several hundreds of thousands of dollars and take days to make; if Hexagon metrology can see the part distort after an hour, the process can be stopped, he said. So, by taking subtractive manufacturing processes and turning them reliably into AM processes, very high production is possible, Gallello concluded. Elsewhere at the event, it was suggested that dimensional feedback of AM-produced parts can be employed to refine Simufact-modelled output, although MSC’s AM simulation is already 96% accurate, Machinery was told. Moving nearer the shopfloor, Vero’s Sivitter says: “We have used Hexagon technology with VISI, capturing data and feeding that into CAD to support engineering changes; we have incorporated some Hexagon technology within Edgecam to support inspection, on-machine probing; and there are opportunities with our sheet metal package, Radan – you can make a thousand parts before you see that you’ve missed punching a hole, so we see some opportunities there for visions systems. And Jeffers highlights a more intelligent analysis of data captured from on-machine probes and post-process CMMs to nail down error sources more tightly to a single machine or tool, with feedback to machines to automatically compensate for errors. Hexagon MI’s Hanke examples the ability to make robots operate more accurately by using Hexagon MI’s 7DoF real-time position correction system that employs the division’s laser trackers and, second, RoboDyn for the ISO calibration of robots, which also uses laser trackers, that improves absolute positioning accuracy and allows on-the-spot modification of robot models. Turning to the final element of the four, there was a new ‘soft’ launch (official in September), Smart Quality, an online, corporate quality data capture, analysis and dashboard/cockpit display platform. Based on Q-DAS software (quality data analysis, acquired in late 2015) and Hexagon products PC-DMIS (metrology software) and Pulse (CMM vibration, temperature, humidity and crash notifications), Smart Quality is an open system, allowing any metrology equipment to be connected. And while it is currently focused on quality data, it is likely to broaden, Hanke offers – machine tool axis feed force and coolant temperature, values might be captured, suggests Hexagon Smart Quality lead at Q-DAS Scott Mahrle, indicating Renault, France, with this allowing part measurement sample rates to be increased where control limits are violated and relaxed otherwise, increasing throughput. As a demonstration of its belief in its vision, Hexagon AB is to put it into practice through a major investment in China. Already having a factory in Hongdao, Shanxi, the company is to invest €90 million in a new 52,000 m2 production facility there. Due to be completed in 2020, it will make all Hexagon AB products, with these destined for China and markets nearby. Within the Vero stable of software, which takes in Alphacam, Cabinet Vision, Edgecam, Machining Strategist, PEPS, Radan, SMIRT, Surfcam, 12 VISI packages, WorkNC, plus production control MRP system Javelin, there is a project to bring many onto a common software platform, says Vero’s CEO Sivitter, sharing underpinning technology across many brands; but the brands will remain. The first project involves CAD – the company has three different CAD products, Visi, WorkNC and Edgecam. To be called Visi, Edgecam or Work NC Designer, there will have a slightly different look and feel, depending on the package it is fronting. Following this, a similar project for CAM will follow, although this is already evident in the sharing between packages of Waveform machining, for example. In similar vein, there will be a project on the quality software side with PC-DMIS and Aicon software. In order to maintain a Cpk value, Scott Mahrle of Q-DAS stated that machine tool operators tend to adjust tool offsets so that a resulting dimension close to the mean is achieved, equidistant between the upper and lower control limits. By interrupting the process and making such adjustments, the ‘normal distribution’ of data points is interrupted and can make Cpk appear worse. This causes the operator to interfere more, driving down productivity and utilised tool life, Mahrle offers. Q-DAS takes an approach that accommodates non-normal data such as this, avoiding the frequent interruption of manufacturing processes and early replacement of tooling. Q-DAS software is used by 150,000 users worldwide at 8,000 customers worldwide, so its approach is accepted. The ability to sensibly use quality data is crucial in achieving the ‘manufacturing intelligence’ in Hexagon MI’s name, by moving Hexagon Metrology “away from the idea of providing the best, most accurate measurement, to providing the most effective means of utilising measurement equipment” and towards becoming Hexagon MI – Q-DAS was acquired in March 2015, the name change occurred in November 2015. Another intelligent us of quality data is offered that takes in a facility with multiple machining centres and multiple measurement stations. With parts from any of many machines measured on any one of several, says, CMMs, “you can’t look simply at the results from one measurement machine and treat another one separately, you have to have the ability to consolidate all that data into a single view”, says Mahrle. And Ken Woodbine, product line manager, Hexagon MI metrology software, offers that, based on metrology data, you can make a judgement about the frequency of checking a dimension or the method of checking, “because it’s in control and it’s just overhead; it’s more data than you need. That’s the feedback loop”. An integrated workflow along the various stages of component design, simulation, toolpath programming and metrology is a Hexagon MI theme. With the company snapping up various others, it will more and more leverage the possibility of making the separate software packages work together more closely. Some examples of this were given. Now, it may be that the measurement data isn’t added or that not enough data has been added. During the CAM stage, it might be considered that extra metrology control points are required in the accurate production of a part. And within Vero Visi software, for instance, it is possible to add points that guide the metrology software when programming, for example, CMMs. This addition of GD&T data within its various software packages is something he says the company is “thinking about”, being able to drive method selection both on the machining and metrology side. The word ‘workflow’ is used a lot by Hexagon MI. Basically it applies to any series of events required to accomplish something. And speeding workflow in the use of PC-DMIS software by reducing keystrokes or menu selections is one recent development. Application performance has been optimised, with everyday tasks like opening and executing measurement routines, copy and paste, and file importing speeded up. PC-DMIS 2017 R1 boasts many other features. Visit https://is.gd/efutox for a comprehensive overview. Workflow in the use of CMMs has also been given a boost. Say the release: “The Global S coordinate measuring machine (CMM) is the first of the Enhanced Productivity Series (EPS), leveraging the Hexagon Manufacturing Intelligence solution portfolio by combining smart technologies with a focus on a superior measurement performance and increasing productivity.” At the Las Vegas event, the LEDs on the CMM column were highlighted, making current status visible from a distance. Alongside was a ‘shopfloor’ desk that offered standing and sitting use, for example. Full details available here: https://is.gd/ecavoc.